Complete the form below and you’re friend will receive an instant FREE Chiropractic Consultation Certificate ($175 Value) that they can use anytime they want! 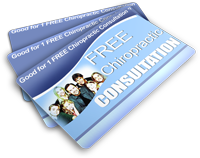 They’ll receive the FREE Consultation Instantly, Compliments Of You! Complete the form below to send your friend or family member an instant FREE Chiropractic Consultation!